Toyoland is dedicated to Toyota cars, minivans, and trucks, including company history, performance, and news; we cover nearly every Toyota, Scion, and Lexus car, truck, and van sold in North America, and have been referenced by the L.A. Times,Purdue University, Allpar, and Urbanian. Toyota is one of the world's largest automakers, producing the largest range of hybrid-electric cars and some of the toughest trucks, including the legendary Land Cruiser. 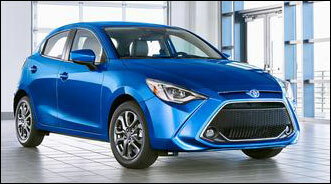 The Toyota Corolla, RAV4, and Camry alone outsell most other automakers’ full lines. Toyota developed the world’s foremost hybrid-electric system and has built more hybrid cars than anyone else. The company has research and development facilities in the United States, Canada, and other nations. Toyota has been a pioneer in using advanced technology, and relies upon employees at all levels to increase productivity and reliability. Toyota also owns about a quarter of the world’s second largest parts supplier, Denso. The company is still run by the founding family, the Toyodas.